Tinker Bell Tank. 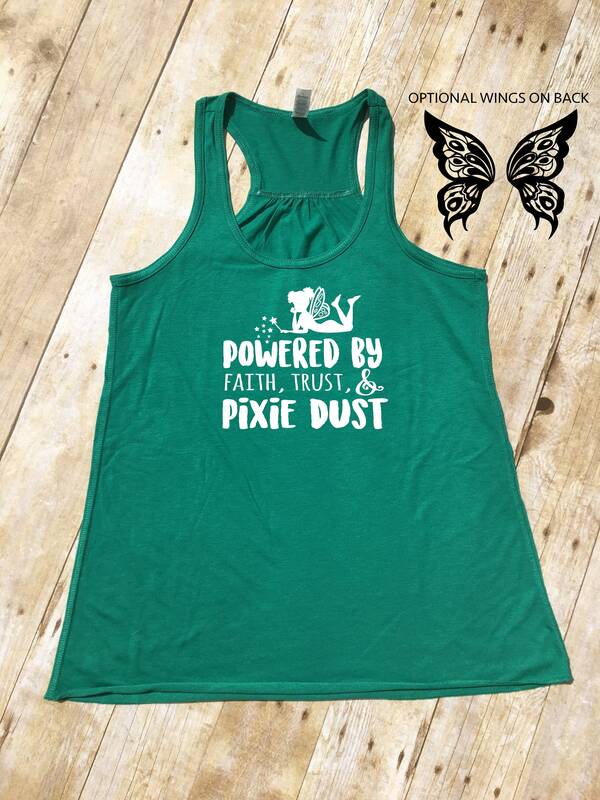 Powered by Faith, Trust and Pixie Dust. Tinker Bell Shirt. Neverland shirt. Optional Wings on back! Marathon Tank.